They do not come around often but periodically there are short sales in The Plantation. Perhaps if you have a goal of purchasing a short sale in the Plantation you should contact us right away. Since this is such a desirable community a property such as this will not last for long and having someone on top of it can be the difference between being the one that is successful and being the one on the sideline. 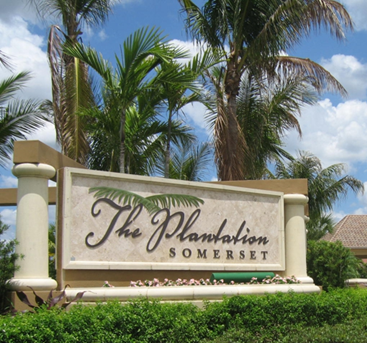 The Plantation is one of the few developments that continues to sell new homes. This fact has helped to keep the prices from taking a nose dive to the extent that other communities have. The homes are built by Centex and display really great floor plans. In addition the quality of the construction is apparent whenever you take a tour. You are immediately greeted with the lush tropical landscaping, well thought out master planning, beautiful homes. It is indeed the fortunate few that will be able to tap in to all of this amazing beauty and tranquility by purchasing a short sale. Take a look to see if there are currently any short sales in The Plantation, Fort Myers. The Plantation offers a variety of living arrangements from condominiums to coach homes to villas and then single family homes of every size all the way up to Estate homes. A few of the offerings are the Trinidad Series, the Grenada series, the Antigua series, and the Caymen series. Each series offers 5 or 6 elevations so that there is variety and no two houses are the same. With such variety, beauty, and quality is no surprise that sales are continuing in spite of the difficult times. Take a look and see if there are currently any short sales in The Plantation, Fort Myers. Give us a call at the Dohack Group and put us to work. We will happily keep an eye out for the perfect short sale in The Plantation. The opportunities will be few and far between.